that fosters collaboration between artists and scientists. exotic and local, expansive and real. ELIGIBILITY: The Art at Cedar Point Artist in Residence program is aimed at artists and writers interested in the intersection of art and science. 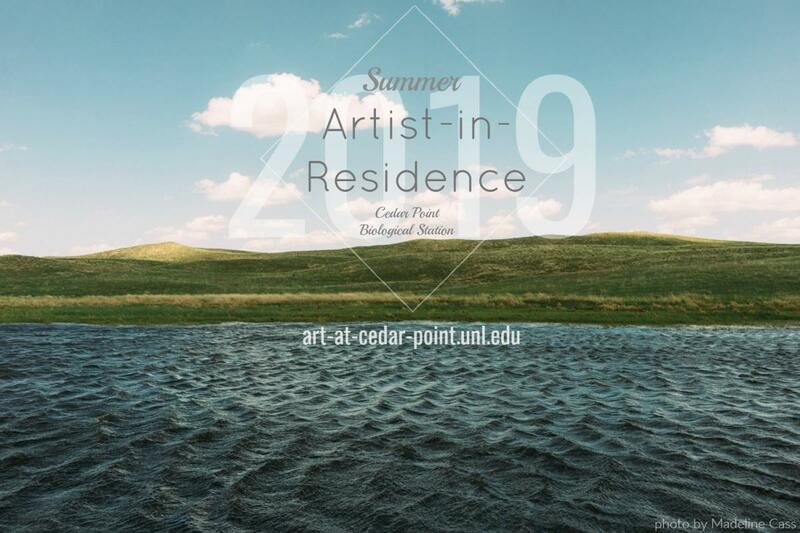 Hosted at the University of Nebraska-Lincoln’s Cedar Point Biological Station in western Nebraska, the residency offers artists and creative writers the opportunity to engage and interact with researchers, professors, and students of the biological sciences. Both established and emerging artists/writers are invited to apply. HOW TO APPLY: Email a cover letter describing your interest in the art/science mission of Art at Cedar Point and how a residency would benefit your practice, along with a pdf of 10-15 examples of artwork or 3-4 writing samples, and a current CV to Demma.Hannah@gmail.com. Artists working in video should provide links to online content for viewing. In the cover letter, please indicate your preferred dates for a 1 or 2-week residency, including flexibility or restrictions. Total costs of the program include field station housing and three meals per day, at $235/week. Several scholarship awards are available for emerging and Nebraska artists/writers. All residents are responsible for their own travel costs to and from CPBS. RESIDENCY AWARDS: Art at Cedar Point offers a limited number of residency awards covering the cost of room and board to artists and writers working in or native to Nebraska and to emerging artists (currently enrolled graduate students or recent degree recipients). The application process is the same, but those applying for a Residency Award should address their eligibility and need for an award in the cover letter. 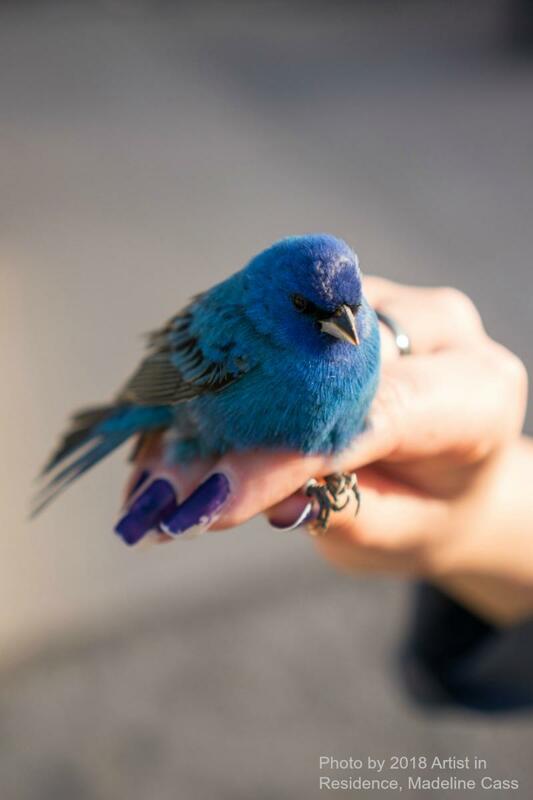 Cedar Point Biological Station hosts instructors and undergraduate students for classes in art, literature and biology which offer artists the opportunity to engage across disciplines. Following is a schedule for summer 2018 to consider when selecting your available dates. Scientists who return to CPBS each year include experts focused on cliff swallows, aquatic turtles, prairie dogs, lizards, and snakes. If you have a specific interest in one of these topics, please contact the program coordinator for more information about how to connect. COMMUNITY: Artists and writers who wish to engage with the local community are welcome to propose a public speaking event or workshop for youth or adults. A fully equipped auditorium is available nearby at the Lake McConaughy Visitors’ Center for speaking events, and limited facilities are available there and at CPBS for workshops or demonstrations.